This guide cover 80 of the most interesting species of Dendrobium found in New Guinea. Species have been chosen to display the wide variety found within the genus, while also highlighting those most commonly encountered. 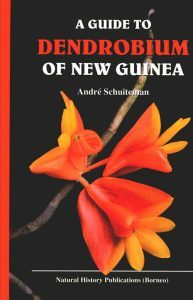 Includes classification of Dendrobium in New Guinea and a checklist.